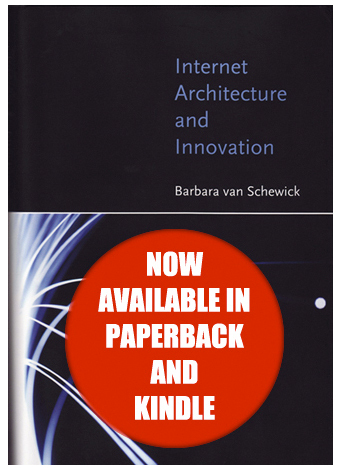 The paperback and Kindle versions of Internet Architecture and Innovation have been released. More information about the book can be found here. There’s a page of reviews, including reviews from Lawrence Lessig, Marvin Ammori, and Brad Burnham. The book is available on Amazon.com and on Amazon’s international websites. This entry was posted on September 17, 2012 at 6:00 am. You can follow any responses to this entry through the RSS 2.0 feed. You can leave a response, or trackback from your own site.